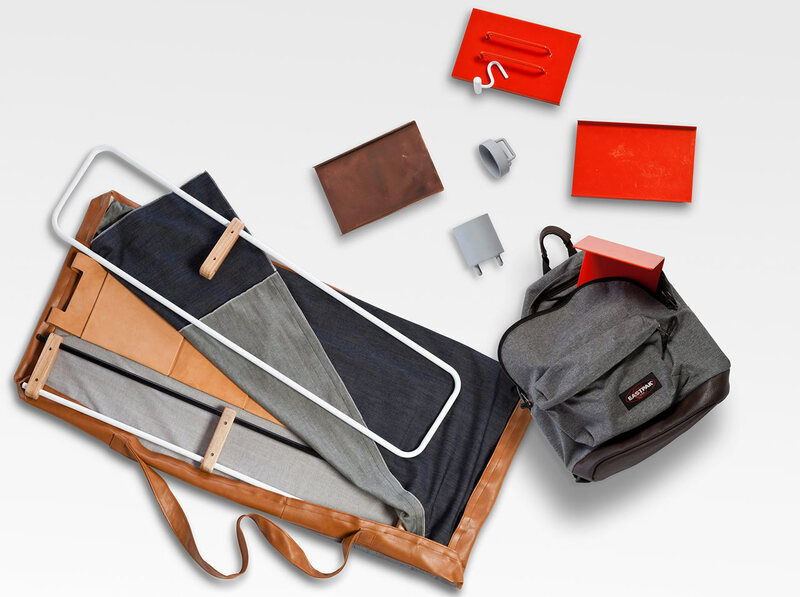 Industrial designers have picked up on the fact that a growing number of people don’t stay in one place for very long, and they’re responding with intelligent, portable solutions that can go virtually anywhere. But when will the big furniture makers catch up? 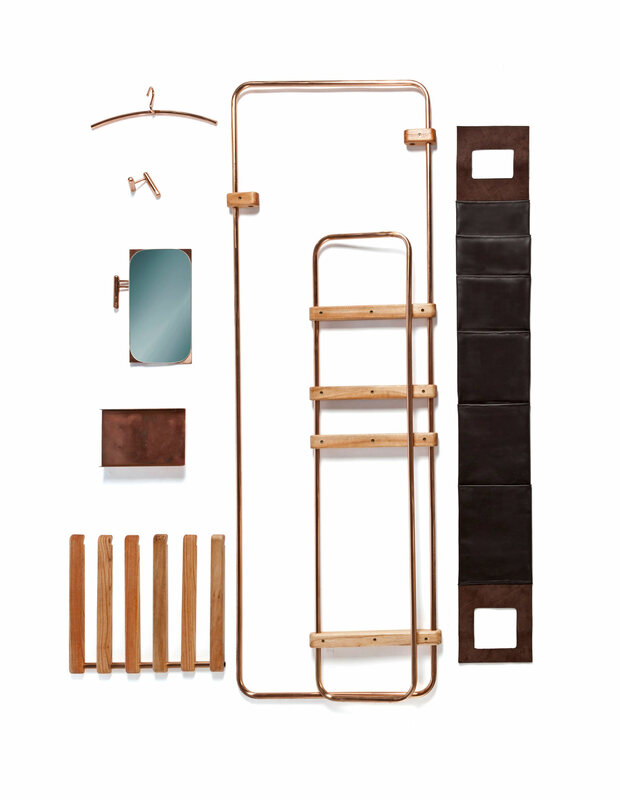 A new collection called LYNKO from Argentinian architect and designer Natalia Geci fills an obvious hole in the market so well, it looks like something that should be sold in a big box store like IKEA already. 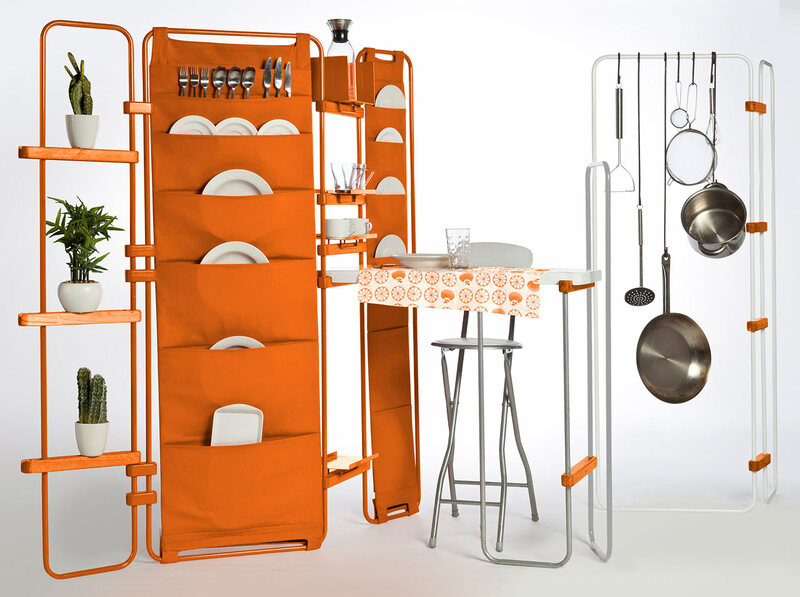 It’s totally ready for dorms, sublets, pied-à-terres, studio apartments and other living situations that don’t mesh well with big, bulky belongings. 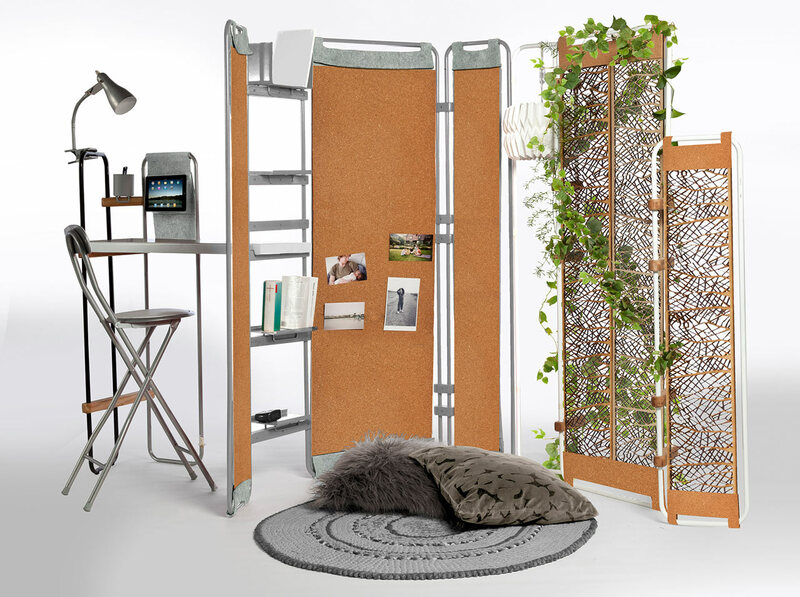 Inspired by Geci’s own nomadic lifestyle, LINKO is a customizable system of metal frames connected by wooden hinges to create a virtually endless number of configurations. 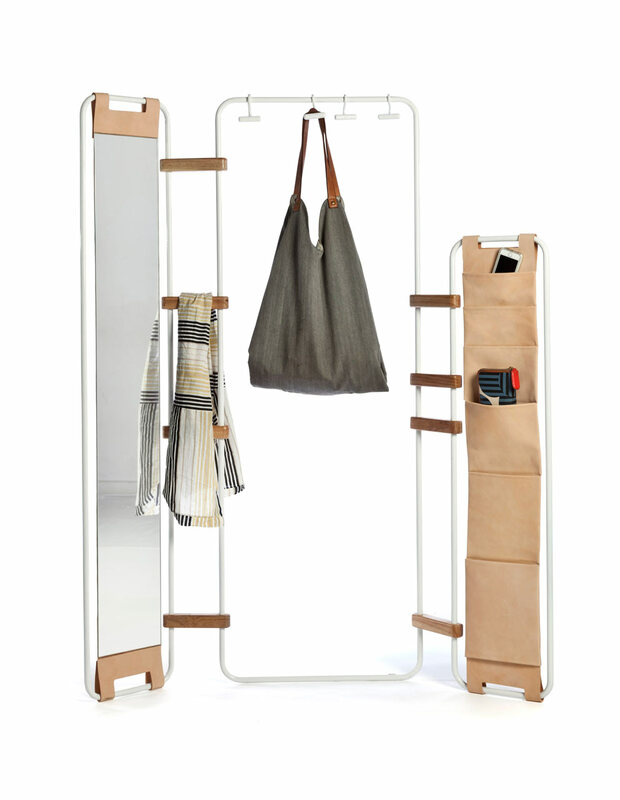 Accessories include mirrors, toothbrush or pen holders, leather or canvas pockets, shelves, hangers, fold-down tables, hooks, shoe organizers, bulletin boards, room dividers and many more small items you might need for storing and organizing stuff in your closet, bedroom, kitchen, office or kid’s playroom. 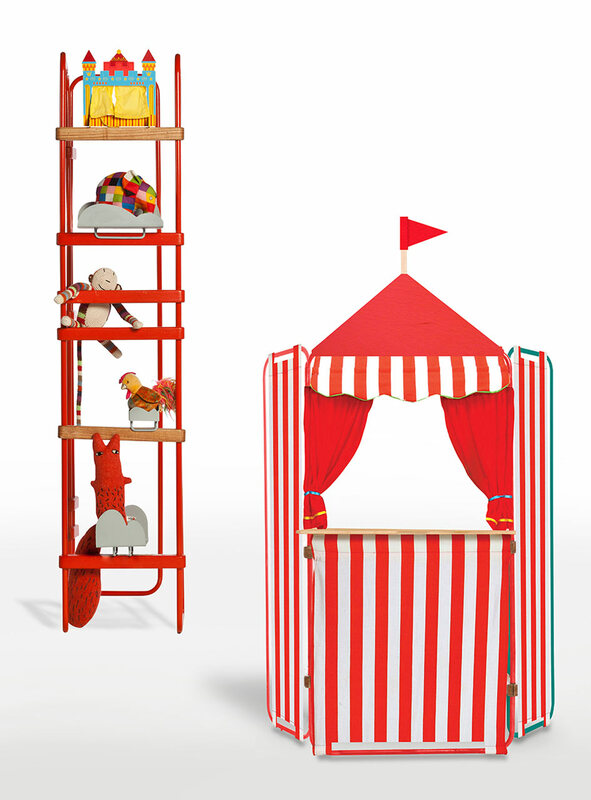 The modular approach lets you connect the various parts however you like, putting two or more kits together for even more possibilities. 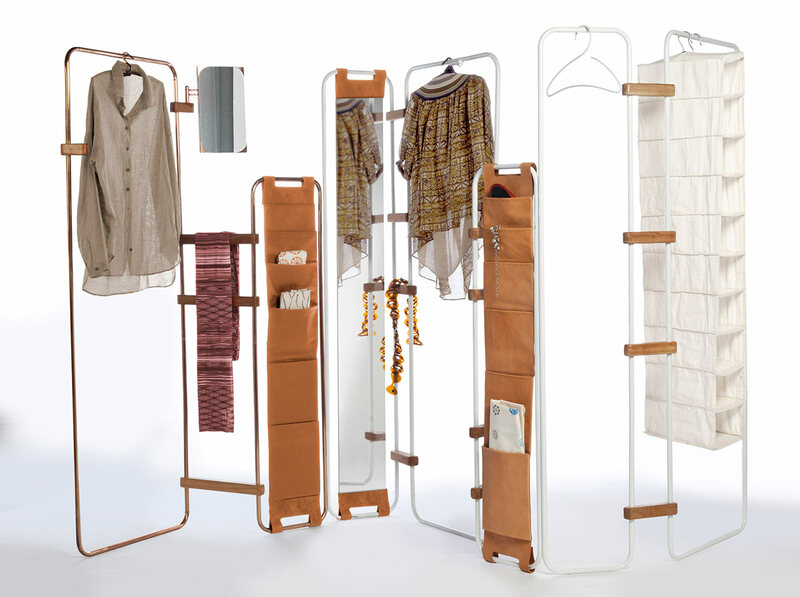 The metal frames come in three sizes, as do the wooden connectors, which are also used to add on the accessories or as rails for clothes and towels. 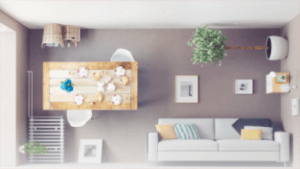 The system can be put to work in any kind of room; use the pockets for paperwork in the office, beauty supplies in the bedroom or plates and tableware in the kitchen. There are even flat table surfaces that hook onto the wooden rails and fold flat when you don’t need them. The valet-like structure has a minimalist look, keeping visual clutter to a minimum in cramped spaces, and the versatile modularity means you can swap the parts around whenever you want to create a new configuration, whether you’re bored with your current layout or need to make some changes for usability. Lamps clamp right onto the metal frames and they can even be used as trellises for houseplants. 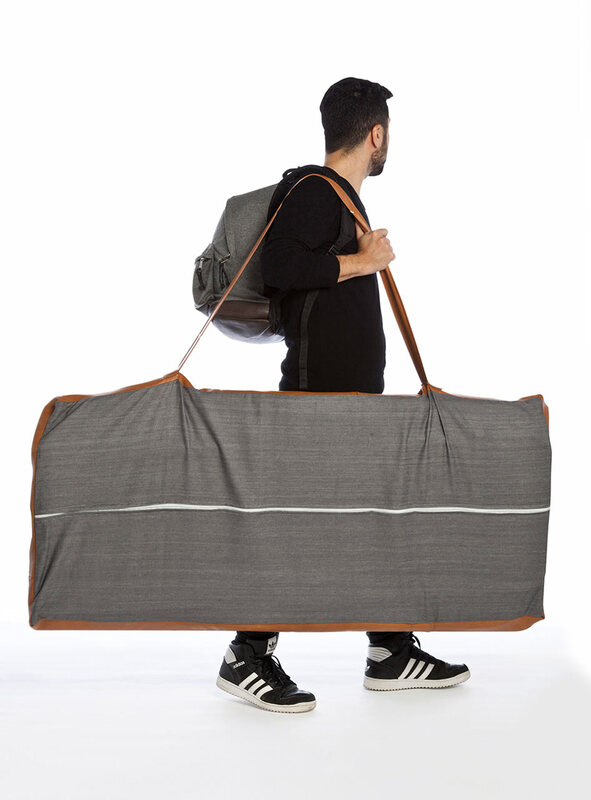 But perhaps the coolest part is the way it all packs down when you’re ready to move, fitting into a carrying bag with a shoulder strap. 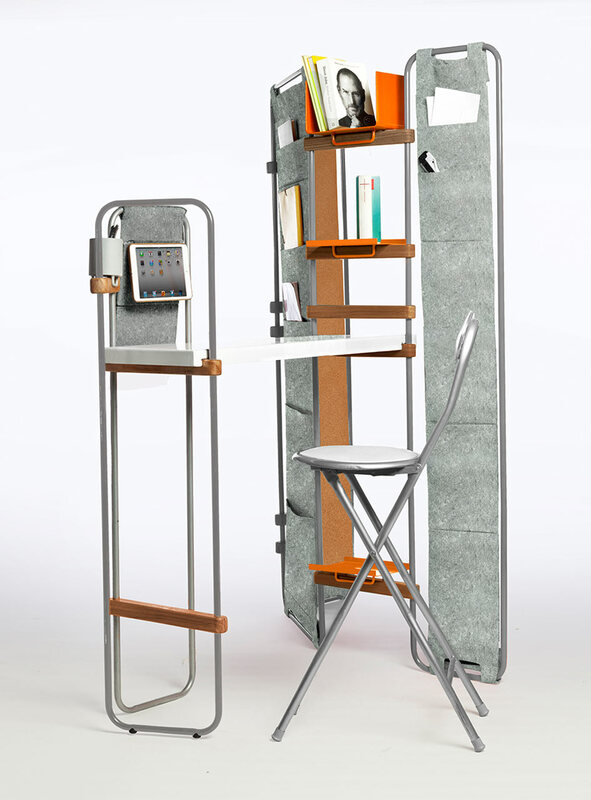 The set intuitively responds to the trend of nomadic workers, particularly remote workers who avoid signing long leases so they can live anywhere in the world they like. The gig economy has led to an entire workforce that almost never steps foot into a company office, making them ‘location-independent’ so they can work wherever there’s wi-fi. This itinerant sort of lifestyle encourages travel and exploration and discourages owning too much stuff, especially heavy furniture. 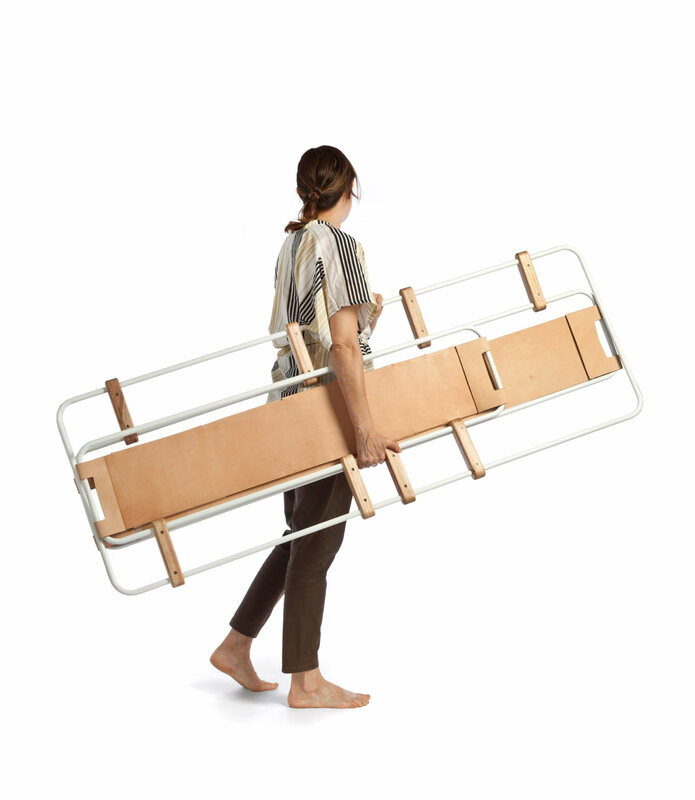 All signs point to this trend continuing skyward, so maybe we’ll soon see similar lightweight, portable furniture systems that are more accessible to the general public.